How Understand & Utilize highly profitable Japanese candlestick charts and patterns. You’ll be able to get in trades earlier and exit with more profit and higher reward to risk ratios. You’ll learn supply and demand concepts that move the markets. I will show you how to ride waves of demand up and sell when it begins to fade. Take advantage of novice traders who make the same mistakes over and over again. I’ll show you the core concept of price cycles. Using this concept will keep you on the right side of a trade every time. You’ll be amazed how much easier trading becomes when you stay on the side of the power and let the river take you upstream. You’ll get in depth training and understanding of core technical analysis concepts. You’ll know when to buy and when to sell before you enter a trade. Just using support and resistance is the basis for hundreds of successful trading systems. Remarkable New Discovery That May Be Considered The “Lazy” Way To Trade Stocks! 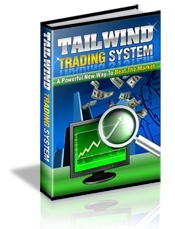 The Tailwind Trading System is a unique stock trading system with a proven track record that safely and easily turned a portfolio of $5,000 into $42,000 and turned a portfolio of $100,000 into $850,000* using a small number of trades and a minimal amount of time and effort. Complete step-by-step instructions detailing how you find and identify the Penny Stock Castaways… no confusing technical analysis, you’ll know precisely which penny stocks to trade! Detailed step-by-step instructions for entering a trade… you’ll know your entry point! Details for setting the 10% profit target and the 20% stop loss… you’ll know your profit potential and your downside risk before you even enter a trade! Detailed step-by-step instructions for exiting a trade… you’ll know your exit point! The bonus Annual Castaways strategy with complete step-by-step instructions detailing how you find and identify the Annual Castaways, how to trade them, and stock charts showing them in action… another way to add to your profits! Full, detailed track records showing all of the Penny Stock Castaways and the Annual Castaways. Includes ticker symbols, dates, profit targets, and more… this is the proof that backs up the Penny Stock Castaways performance! Statistics that show that 49% of the winning Penny Stock Castaway stocks hit their 10% target price in one day… awesome! Every year, high priced money managers try to beat the market … and most of them can’t do it! With the M&A Profits stock trading strategy, you’ll have the opportunity to beat the market, and those high priced money managers! The e-book contains full details about the stock trading strategy – what it is, how it works, and the theory behind the profits. With the step-by-step instructions and detailed strategy guidelines, you’ll learn which stocks to look for, which stocks to avoid, and how to make the trades. 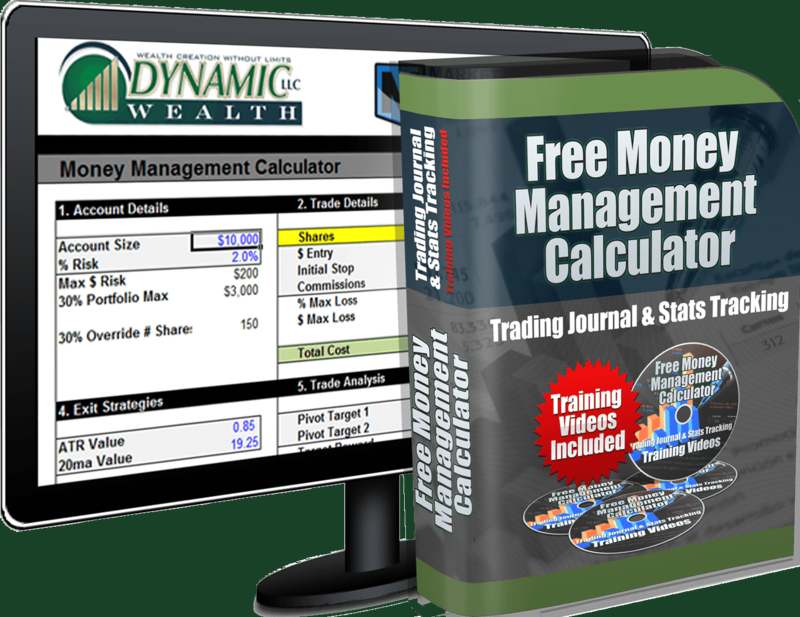 This easy-to-use stock trading strategy can even be used by stock traders with no experience! 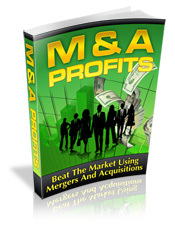 The M&A Profits stock trading strategy can be used in both good markets and bad markets. It has a certain amount of safety built into it that enables it to still be successful in bad markets! You’ve probably heard the phrase “The rich keep getting richer”. Well, in the case of IPO’s, that phrase is true. Wall Street insiders have been lining their pockets for years with these deals. This special report exposes one of Wall Street’s dirty little secrets. Wall Street insiders don’t want you to know about this secret because they don’t want you cutting into their profits! 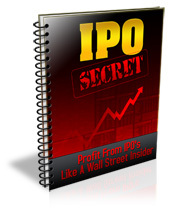 In this e-book, you’ll learn what the IPO Secret is and how you can profit from it! You’ll see the IPO Secret strategy “in action” with the stock charts that are included in the e-book. They clearly show the profits that this trading strategy can generate!